Testing was performed on a system with an Intel Core 2 Quad Q9400 CPU with 4 GBs of RAM and an Nvidia Geforce GTX 650 Ti running at a resolution of 2048x1152. While the system requirements might feel a bit steep, the game itself is surprisingly well optimized. The game manages to perform very decently without any stuttering issues, and even when there are many enemies on screen at onc. The most notable setting has to be the native super sampling option along with the more unusual independent transparency. Otherwise there's a lack of any basic anti-aliasing techniques and the game is locked at a maximum of 100FPS. Having to restart the game each time in order to apply a setting gets very often pretty tedious. Video options are sparse and not as extensive as we might expect from a PC port, and there aren't exactly a huge variety of graphical options to pick from. While the game features really nice reflections and other weather effects there's no options related to them. The game in total features five presets namely, Lowest, Low, Medium, High, Very High and Ultra, comparing the Lowest preset with the Ultra preset was rather difficult because of the required hard restart when applying the new settings. Texture settings were tested while having the free HD pack installed. On the Ultra preset, the game looks really sharp, however, motion blur, tessellation and the alpha transparency settings may hurt framerates on lesser rigs. The High preset is not quite as sharp as Ultra but looks nearly as good, and has the benefit of performing better when large numbers of enemies are on-screen. The biggest difference Ultra texture will make are on specific doors, characters or floors, but most differences are extremely subtle, meaning that playing on anything above High doesn't seem too worthwhile considering the very large performance differences between the two settings. Andytizer: One of the glaring omissions from this port is the lack of a field of view slider. In this case it seems clear that the FOV was designed with consoles in mind with a long distance between the player and the screen. However I can see that many PC gamers may experience motion sickness when playing on the traditional desk setup, as the FOV is extremely tight and claustrophobic. Thankfully one enterprising modder has found a way of increasing the FOV range by entering values into the third party application Cheat Engine. The method for the fix is listed on the wiki article, and until a slider is patched in or someone creates a more elegant solution, it remains the only way to increase FOV to an acceptable level. Below shows a comparison between the original FOV versus the adjusted FOV, which feels much more comfortable. Andytizer: The game lacks any explicit antialising options, which is surprising considering how common these options normally are in PC games. Instead we have 'downsampling'. When selecting a resolution, the game gives the option to set a resolution that exceeds the native monitor resolution ('supersampling'), which is then downsampled to the correct monitor resolution. While downsampling may make most jaggy edges non-existent, it is also be incredibly performance-expensive to use compared to simpler and normal anti aliasing techniques. However it is an effective way of removing jaggy edges. There weren't any clear differences between each setting, although other areas of the game may be affected differently. Otherwise the performance hit for the High settings is minor. The quality of the shadows itself isn't really affected - for the most part Ultra shadows will appear as being solid while at lower settings shadows will be far softer. Otherwise most differences are pretty subtle, however on Ultra some objects may also cast detailed shadows themselves adding some extra detail to the scene. Oddly enough it's not possible to entirely disable the shadows and Ultra is a bit more performance intensive than High while they don't really differ too much. Mostly applied on nearly every building throughout the game, there's a major framerate hit on Ultra even though Medium or High don't look too different. The Ambient Occlusion is heavily applied onto most objects on Ultra, however, Low and Medium aren't such performance hogs and even then the Ambient Occlusion can be turned off completely. Affects the foliage display range, and some buildings might also be slightly affected by this setting, with more foliage being displayed on top visible from wider distances. Rocks are also affected, spawning at longer ranges. It is also curious how rocks and such may always randomly spawn in different formations. For the most part the the Depth of Field setting is very often used in most main menus. However while actually playing the effect might only appear during certain combat sequences such as finishers and executions. Although minor it does make most character's hair look much better and the framerate hit is rather minor. 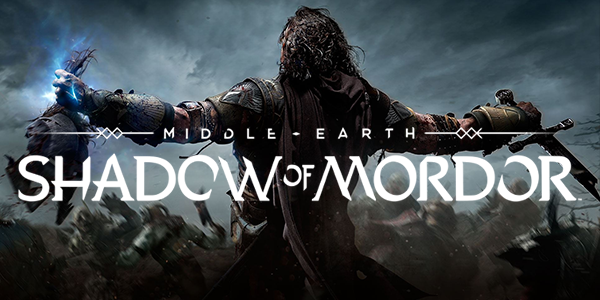 Shadow of Mordor comes bundled with a benchmark test, however the data obtained from it was rather messy, so we opted to perform manual benchmarks instead. Generally, the performance of the game is very good especially considering the graphical fidelity, the open world and the number of buildings and enemies rendered at any one time. However several settings could easily be sacrificed for additional performance without much loss in graphical quality - for example Tessellation and the Motion Blur could be easily turned off, Shadow Quality and Ambient Occlusion could probably be left on Medium for a good balance. The game plays surprisingly well on a keyboard, with sensible and convenient key binds along with the fact that aiming with a mouse is easier and quicker. On controller the combat feels a bit more chaotic seeing as some finishers require pushing two buttons at the same time. On the other hand, character movement does feel much more natural on a controller due to the analogue sticks offering more variable movement control. The controls menu is fairly standard, most keyboard keys apart from some very specific ones are bindable along with the mouse buttons, allowing multiple keys per action. However there's only one controller preset, and buttons cannot be rebound which is disappointing. Nothing unusual here, however one slight annoyance would be the lack of global subtitles for every enemy. While it might not be a poorly laid out port, it certainly could've been a bit better and while it does feature great mouse and keyboard support, it does slightly lack more video options, more importantly a native field of view option seeing as certain players may simply dislike the default setting. Thankfully there's no major performance or stability issues even if during testing my savegame was sadly erased, ending up with quite a huge amount of progress lost being unable of testing the secondary area in the game, the cause is still uncertain.